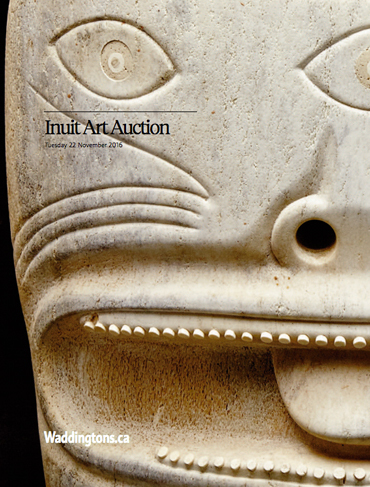 This past Tuesday, 139 works of Inuit and Northwest Coast artwork were presented for auction at Waddington’s, the premier auction house for Inuit art and now in our 39th year of conducting Inuit art auctions. The energy from a week of exhibition culminated in our busiest preview ever and carried directly over into spirited bidding during the sale. 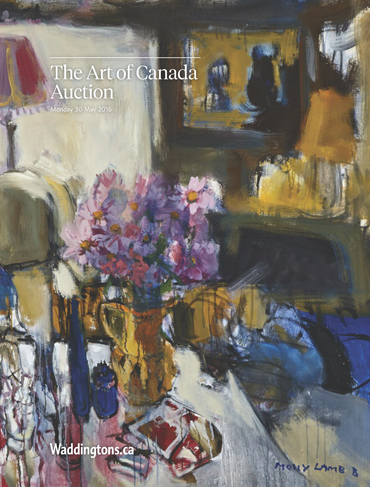 Over 90% of works sold, well above industry standard, resulted in elated consigners and buyers alike. 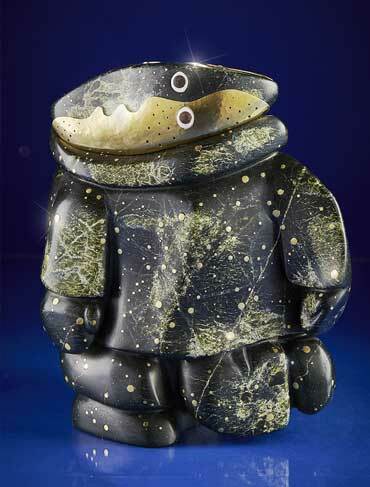 Feverish bidding led to prices repeatedly exceeding the healthy pre-auction estimates for early stonecuts and stencils. Three iconic Niviaxie stencils were each hammered down above the $10,000 mark. 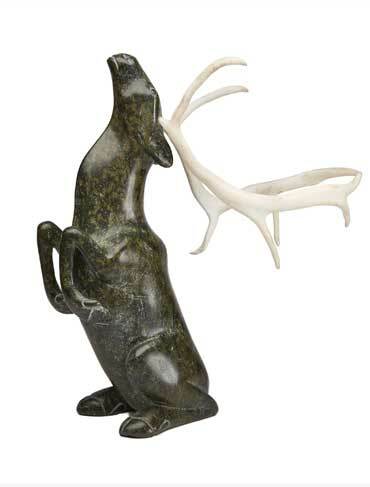 Sculptural form took precedence for collectors, with the elegant and understated 20” caribou by Osuitok Ipeelee selling for nearly $30,000. 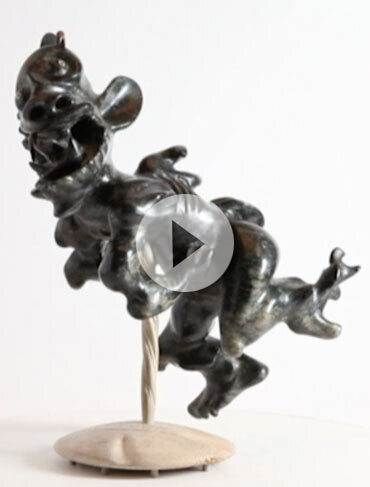 Impressive prices were also commanded from our curated selection of small-scale sculptures, such as Judas Ullulaq’s wonderful 6” work in antler, which sold for almost three times its estimate at $2,840. 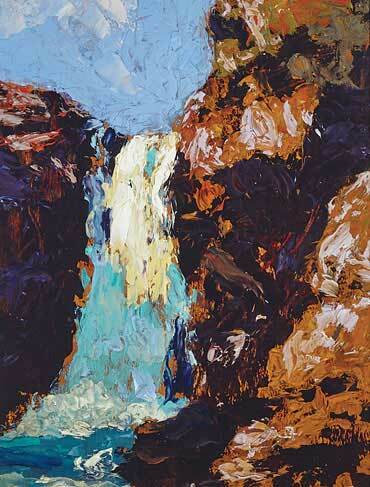 Contemporary works from artists such as Bill Nasogaluak and Suvinai Ashoona sold well and within or above estimate. 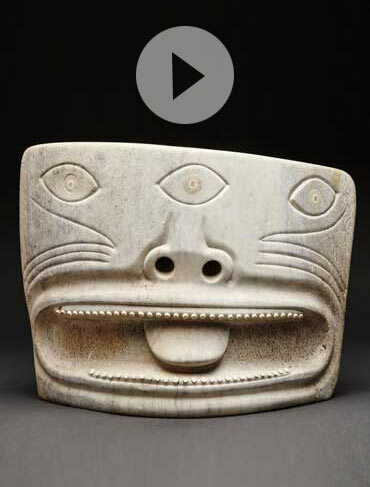 The strong interest displayed for the Northwest Coast works during the previews resulted in 11 pieces selling for over a combined $30,000. 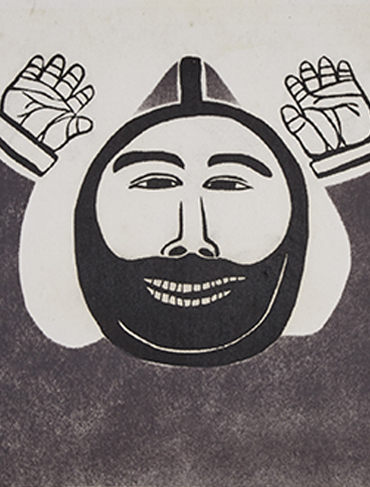 This year, we made some changes to how we present Inuit artwork in our catalogues. The Inuit community names are now included and artists’ names are now also displayed in Inuktitut syllabics. It was particularly nice to see some familiar faces reappear during the auction and previews this season, as well as to connect with some new collectors. 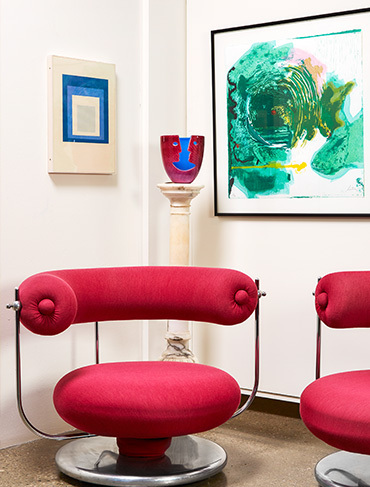 The interest in the artform is truly in a transition period between long-standing collectors – to those newer to it, and the interaction between these collector profiles is exciting to see and is reflected in the results of the sale. For further information about this auction or consigning with us in the future, please contact me directly. Thank you to all of our consignors and buyers for a wonderful evening.